Professor Sheilagh Ogilvie is in dialogue with Professor Walter Scheidel (Stanford) on “What Have the Romans Ever Done for Us?” at the Newell Classics Event. 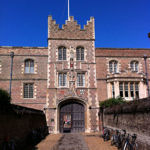 This event is Cambridge’s most prestigious occasion for public-facing classical scholarship, and takes place on the 2nd May 2019 in the Palmerston Room, Fisher Building, St John’s College. More information can be found at https://www.joh.cam.ac.uk/newell-classics-event-2019. Dr. Meredith Crowley took part in a teleconference, "What's Next for Brexit?" hosted by the Pacific Council on International Policy, the leading think tank on international policy on the West Coast of the US. The Pacific Council have published an article about the discussion and you can listen to the audio of the teleconference on the article page. 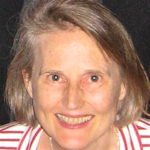 Professor Sheilagh Ogilvie will give a Plenary Lecture on “Guilds and Innovation” at the CEPR / Danish Institute for Advanced Study Conference on “Accounting For The Wealth Of Nations: History And Theory”. This event is being hosted by the University of Southern Denmark in Odense on 25-26 April 2019. The full programme can be found here. Princeton University Press, the Faculty of Economics and the Cambridge-INET Institute held an event to celebrate the publication of Professor Sheilagh Ogilvie's The European Guilds: An Economic Analysis book. 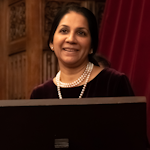 The event took place on 14th March 2019 in the Old Combination Room, Trinity College. See a selection of photographs from the evening. Dr. Meredith Crowley took part in a Brexit discussion on the BBC news that looked into whether the UK is actually in a crisis over leaving the EU? You can listen to the programme on the BBC site. 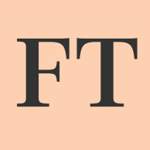 The Financial Times have published a opinion editorial "The way to fix bias is economics in to recruit more women", which is based on a study of biases among economists, conducted by Dr. Ha-Joon Chang and Mohsen Javdani (University of British Columbia). You will need an FT account to view this article. 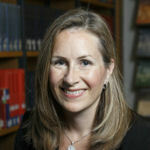 Dr. Meredith Crowley gave extended interview to BBC Radio 4's Analysis program on "Fair Exchange? ", in which she discusses how a falling value of the British pound sterling could impact the British economy. The programme will be broadcast on the 18th February 2019 at 8.30pm and will be available to listen online after. 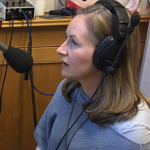 Dr. Meredith Crowley was interviewed on BBC Radio 4's Today programme about the ongoing Trade War negotiations between the US and China. Dr. Crowley's segment starts at 15:00 minutes into the broadcast. 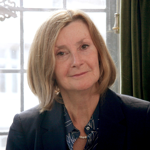 Professor Sheilagh Ogilvie will deliver a public lecture at the Centre for Competitive Advantage in the Global Economy at the University of Warwick on 28 February 2019. Her lecture addresses a question of concern to economists, historians and legal scholars: “How Do Bad Institutions Survive?”, and presents findings from her new book, The European Guilds: An Economic Analysis, published on 14 Feb 2019. 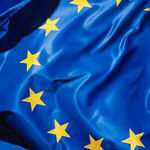 Is Japan's EU deal a threat to the UK industry? 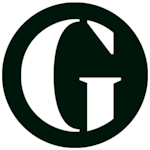 Dr. Meredith Crowley discusses how the new free trade agreement between the EU and Japan could be a possible threat to the post-Brexit British industry, in both the Guardian Newspaper and Customs Today. 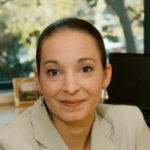 Dr. Meredith Crowley has been appointment to the Trade and the Economy Panel. 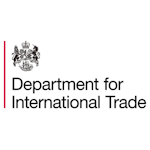 The TEP is part of the Department for International Trade and aims to raise the DIT’s analytical capacity and capability, while championing high-quality, robust analysis to help secure the best outcomes for UK trade policy. Could a Free Port in Teesside be Feasible? Dr. Meredith Crowley was quoted in The Economist article "Teesside bids to become Britain’s first free port", discussing the feasbility of a free port in Teesside. Dr. Meredith Crowley gave three interviews about her Cambridge Working Papers in Economics research paper "Renegotiation of Trade Agreements and Firm Exporting Decisions: Evidence form the Impact of Brexit on UK Exports" (joint with Oliver Exton and Lu Han). A live interview with the BBC News Channel (TV) "UK trade agreements after Brexit", presented by Martine Croxall, an interview on BBC World Service In the Balance "Brexit: Planning in Uncertain Times", presented by Ed Butler and an interview on Trade Talks from the Peterson Institute for International Economics "Trade Talks Episode 68: Brexit Votes for Uncertainty" presented by Soumaya Keynes (The Economist) and Chad P. Bown. Professor Sanjeev Goyal's research (co-authored with Anja Prummer) into how risk aversion plays a role in female academic economists having smaller and more clustered networks of co-authors, has been quoted in an article by The Economist. How Did Pre-Modern Merchants Solve Conflicts? Professor Sheilagh Ogilvie will deliver a public lecture in Frankfurt at the Max-Planck-Institute for European Legal History on 30 January 2019. Her lecture addresses a question of concern to economists, historians and legal scholars: “How Did Pre-Modern Merchants Solve Conflicts? Public-Order versus Private-Order Institutions”. A one-day workshop on Sheilagh's forthcoming book, The European Guilds: An Economic Analysis, will take place at the University of Frankfurt on 31 January 2019. Dr. Sriya Iyer looks at "Why are Americans so religious?" 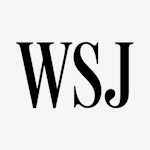 in an article published in the Wall Street Journal. This follows on from the recent publication of her book "The Economics of Religion in India". Which was one of the Times Literary Supplement's 'Books of the Year 2018'. Cambridge-INET is holding a launch event for Professor Sheilagh Ogilvie’s book, “The European Guilds: An Economic Analysis”. The launch takes place on 14 March 2019, 5.30-7.00 pm, in the Old Combination Room, Trinity College, Cambridge. Please register your interest here. Rebuilding Macroeconomics are hosting an afternoon talk "The Political Economy of Anger". The event will feature Professor Mark Blyth and macro fund manager Eric Lonergan discussing their forthcoming book on the political economy of anger, along with two discussants Professor Anand Menon and Dr. Carolina Alves. It will be held at the National Institute of Economic and Social Research (NIESR), London, on 5th February 2019, from 1.00-3.00pm. 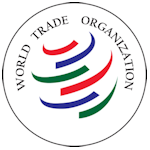 Dr. Meredith Crowley spoke at the World Trade Organization's 'Updating Trade Cooperation: An Economic View' event, in Geneva on the 11th of December 2018. Dr. Crowley gave her presentation on 'Updating Economic Cooperation: Rethinking exibility tools in light of modern evidence' and you can watch her remarks on the WTO website (starts at 2 hours 22 mins). In her remarks Dr. Crowley made reference to two of her Cambridge Working Papers in Economics papers, "Invoicing and Pricing-to-Market - A Study of Price and Markup Elasticities of UK Exporters" and "Markups and Markets: A New Empirical Framework and Evidence on Exporters from China". How to Conceptualise Financialisation in Developing and Emerging Economies? Cambridge Political Economy Society are holding a workshop on "How to Conceptualise Financialisation in Developing and Emerging Economies?" 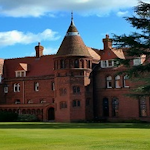 on the 13th and 14th of December 2018 at Girton College, University of Cambridge. See the full programme on the CPES website. 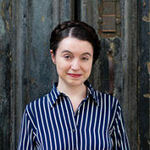 Dr. Meredith Crowley discusses 'freeports' and the role they might play in a post-Brexit manufacturing boom on BBC Radio 4's In Business Programme (starts at 1m 47s). Professor Sheilagh Ogilvie gave the Faculty Research Seminar, presenting the research in her 2019 Princeton University Press book, where she uses economic methods to analyze an institution central to almost every economy in history – the occupational guild. Her talk was entitled ‘The European Guilds: An Economic Analysis’ and was delivered on 1 October 2018. 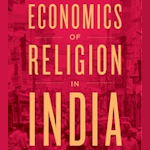 Harvard University Press, the Faculty of Economics and the Cambridge-INET Institute held an event to celebrate the publication of Dr. Sriya Iyer's The Economics of Religion in India book. The event took place on 31st October 2018 in the Senior Combination Room, St Catharine’s College. See a selection of photographs from the evening. 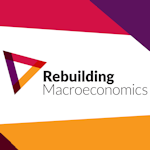 Rebuilding Macroeconomics are holding a Women in Economics event as part of the ESRC Festival of Social science at the National Institute of Economic and Social Research. The event will take place on the 9th of November 2018 between 12.00 and 05.40pm, at the National Institute of Economic and Social Research in London. Dr. Sriya Iyer was interviewed about her recently published book 'The Economics of Religion in India' by SheThePeople. The book was also featured in leading Indian business newspaper The Mint "Why Religion Steps In When the State Steps Back" and was also listed in Marginal Revolution's "What I’ve been reading" section. Dr. Meredith Crowley was interviewed on the NPR Morning Edition programme about her research with Rob Howse on the Tuna-Dolphin II dispute, in relation to President Trump's attacks on the World Trade Organization. 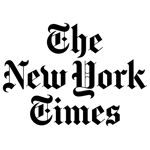 Dr. Meredith Crowley was quoted in two BBC News articles about President Donald Trump's North American Free Trade Agreement (NAFTA) between the US, Canada and Mexico. "Donald Trump says new trade deal is 'most important ever'" and "US and Canada reach new trade deal to replace Nafta". 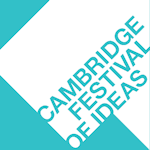 Three Faculty members will be running sessions at this years Festival of Ideas. Dr. Meredith Crowley will hold a panel discussion on "Trade Wars: Deal or No Deal", Dr. William Janeway will give a talk on "Doing Capitalism in the Innovation Economy" and Tony Cockerill will host the interactive "Running the British Economy" game. You can book a place on any of these events through the Festival of Ideas site. 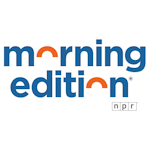 Dr. Meredith Crowley was interviewed for NPR's Morning Edition on Brexit. "With just six months to go before Britain leaves the EU, European leaders are meeting in Austria to discuss progress". You can listen to the program on the NPR site. 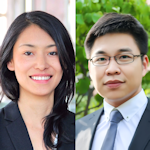 As we embark on the new academic year, we’re pleased to introduce two new Lecturers in the Faculty of Economics - Dr Noriko Amano Patiño and Dr Weilong Zhang. The Financial Times (subscription required) have quoted the report authored by Dr. Meredith Crowley, Oliver Exton and Lu Han in an article about the impact of Brexit on UK exports. Dr. Meredith Crowley was interviewed on BBC World News TV's Impact program “The prospects for UK-Asia trade in the event of a “no deal” Brexit,” presented by Yalda Hakim and broadcast on 23 August 2018. Dr. Meredith Crowley was interviewed on BBC Radio 4 Today program on "The Future of the NAFTA (North American Free Trade Agreement)." Her interview starts at 1:18. Dr. Meredith Crowley, Oliver Exton and Lu Han's paper "Renegotiation of Trade Agreements and Firm Exporting Decisions: Evidence from the Impact of Brexit on UK Exports" has been quoted in articles by both The Economist and The Telegraph. 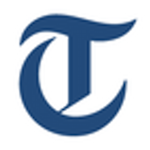 The Telegraph has quoted the research by Dr. Meredith Crowley, Oliver Exton and Lu Han in their article "Britain loses thousands of exporters on trade uncertainty". 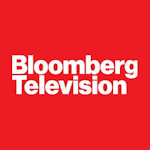 Dr. Meredith Crowley was interviewed by BloombergTV Bulgaria on 13th July 2018. She discussed President Trump's Trade War. Please note the article and video are in Bulgarian. 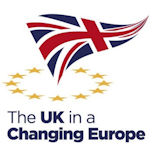 UK in a Changing Europe has been awarded Best Think Tank covering Global Affairs in the UK by Prospect Magazine. Dr. Meredith Crowley, a Research Leader for UK in a Changing Europe, and Prof. Giancarlo Corsetti along with their co-investigator from Law, Lorand Bartels, contributed a number of policy analysis pieces that were cited as one of UK in a Changing Europe's major successes. New research by Dr. Meredith Crowley, Oliver Exton and Lu Han examines how the Brexit vote impacted trade in 2016, "Renegotiation of Trade Agreements and Firm Exporting Decisions: Evidence from the Impact of Brexit on UK Exports". As part of the UK in a Changing Europe programme, Dr. Meredith Crowley and Oliver Exton have written a paper on the UK-EU Future Customs Relationship as part of a report on "What the government’s Brexit white paper must address". Prof. Sheilagh Ogilvie's research is featured in the latest University's Research Horizons magazine. Read the article "How 9,000 lists written over 300 years are helping to test theories of economic growth" or download the latest issue of Research Horizons. How does the US see Brexit? In this Royal Economic Society (RES) video Dr. Meredith Crowley looks at American attitudes, the potential for new trading partners and negative responses towards globalisation. 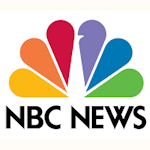 Dr. Meredith Crowley was quoted in the NBC News article "Tariffs on sugar, shoes, mean higher costs for consumers". "Even the threat of a tariff - that is never followed through and imposed - can reduce export activity". The article also cited Dr. Crowley's "Tariff Scares: Trade policy uncertainty and foreign market entry by Chinese firms" 2018 paper (joint with Huasheng Song and Ning Meng), Journal of International Economics. 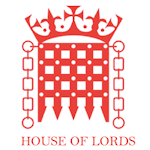 Dr. Meredith Crowley was quoted in House of Lords EU Committee Report issued 8 June 2018 on on UK-EU relations after Brexit on p. 21 (para. 40 and 42) and p. 31 (para 83) the future trading relationship, prospects for FTAs with new partners, and regulatory divergence. 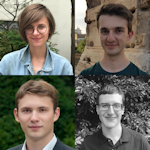 The Faculty is delighted to announce that the four students, who were nominated by the Faculty for an ESRC DTP Studentship, were all successful. The Search and Matching Research Group (SaM) will hold their Annual Conference on 23rd - 25th May 2018 at Jesus College, Cambridge. Please register your interest. 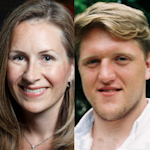 Dr. Meredith Crowley and Oliver Exton have written a blog for The UK in a Changing Europe website on "The Future UK-EU Trade Relationship". Professor Sanjeev Goyal contributed a recent VoxEU article (joint with Lorenzo Ductor and Anja Prummer) on gender and collaboration in economic research. 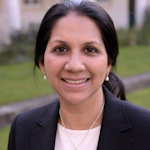 Dr. Sriya Iyer recently gave the Faculty Research Seminar based on the research in her 2018 Harvard University Press book, where she uses economic methods to study religion. Her talk was titled 'The Economics of Religion in India' and delivered on 23 April 2018. Cambridge-INET is hosting the Heterogeneity in Macroeconomics a Decade after the Crisis event on the 4th and 5th of May 2018, between 9.00am and 5.00pm each day, in Jesus College, Cambridge. 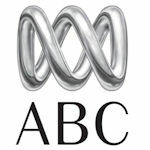 Dr. Meredith Crowley gave an interview to Keri Philips of ABC's (Australian Broadcasting Corporation) Rear Vision radio program examining trade wars of the past and how President Trump's trade war might unfold. The interview was broadcast on 22 April and is available now for download. Dr. Meredith Crowley will give evidence to the House of Lords EU Committee on the future relationship between the UK and the EU. Dr. Crowley's testimony will be broadcast live from 15:00 on Tuesday 17 April. The Faculty's Athena SWAN members organised a coffee morning at Newnham College with Prof. Caroline Hoxby, the 2018 Marshall lecturer. 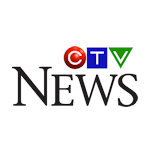 Dr. Meredith Crowley appeared on CTV News (Toronto) to disscus “Trade war risks between the U.S. and China”. Dr. Meredith Crowley appeared on the BBC World Service Business Daily to disscus “Trade Wars: Passion vs Logic” presented by Ed Butler with Simon Tulette. Professor Caroline Hoxby (Stanford University) will give this years Marshall Lecture on 6th and 7th March 2018, at 5.00pm in Lady Mitchell Hall. There will be a question and answer session after the second lecture. Dr. Meredith Crowley discussed the findings of the paper "Markups and Markets: A New Empirical Framework and Evidence on Exporters from China" (joint with Giancarlo Corsetti, Lu Han and Huasheng Song) in an interview with Fergus Nicoll of BBC World Service Business Matters. 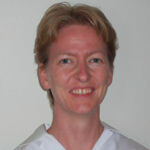 Dr. Crowley's interview discussing the research conducted at Cambridge starts at 09:30. 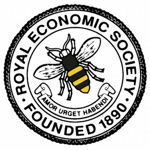 As part of the Royal Economics Society's Annual Conference in Brighton, there will be a Plenary Panel on Brexit - "The View on Brexit from Abroad: New Opportunities or Damage Control?". Dr. Meredith Crowley will be speaking as part of the panel. As part of the Royal Economics Society's Annual Conference in Brighton, the RES is holding a debate 'One year till Brexit: Are we nearly there yet?'. Dr. Meredith Crowley will speak on the open-to-the-public panel debating Brexit. Titckets are available through EventBrite. Dr. Meredith Crowley spoke about the danger that Trump's steel tariff poses to the World Trade Organization system of trade. Dr Petra Geraats was a keynote speaker at the Central Bank Communication and Transparency Conference at the Dutch central bank (De Nederlandsche Bank) in Amsterdam on Friday 16 February 2018. Dr. Meredith Crowley was interviewed live for BBC Radio 4 Today programme about the US's Import Tariffs on Steel. You can listen to the programme on the BBC iplayer for the next 29 days. Dr. Meredith Crowley's blog on 'Response to leaked government Brexit analysis' was included in the Financial Times Brexit briefing. 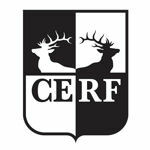 Dr Elisa Faraglia and Dr Matt Elliott are to speak at the CERF in the City 2018 event on The Risks in Financial Markets. 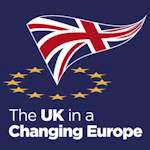 The UK in a Changing Europe website have published a blog written by Dr Meredith Crowley, which is in response to a leaked Government Brexit report. 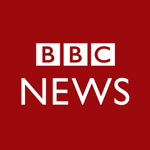 Dr. Meredith Crowley was interviewed by Kamal Ahmed (Economics Editor) for BBC News at Six, explaining the value to the UK of participating in the Customs Union with the EU. Dr Crowley's interview starts at 06.10. Video no longer available. 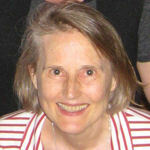 Jane Humphries, Professor of Economic History at the University of Oxford and former Reader at the Faculty of Economics has been awarded a CBE. 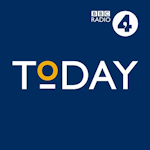 Professor Sheilagh Ogilvie spoke to BBC Radio 4 about "Consumer protectors or greedy monopolists? 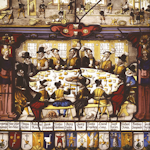 A fresh look at what guilds really did for pre-modern trade". Dr. Meredith Crowley is speaking on "Globalisation at a Crossroads" at the Danish Institute for International Studies in Copenhagen on 10 January 2018. Watch all the talks from the event on the DIIS website. Dr. Meredith Crowley is speaking at a Trade and Brexit event at the British Academy on 2nd November. To register for the conference Click Here. 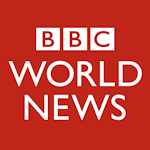 Dr Victoria Bateman and economics undergraduates Clara Starrsjo (Gonville and Caius College) and Paulin Nusser (Magdalene College) were featured on the BBC World Service programme - Business Daily. The subject of the programme was the lack of women in economics. Their discussion was also featured on the front page of the BBC news website. 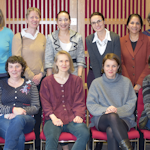 The Faculty of Economics Athena SWAN Self-Assessment Committee was formed in October 2017 and includes academics, administrators and students. Professor Sheilagh Ogilvie is giving the public keynote lecture at the final conference of the project on "The Making of Commercial Law" in Helsinki on 26 September 2017. 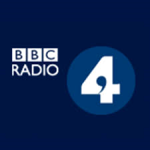 Dr Victoria Bateman was asked to debate Brexit and the latest GDP growth figures with a leading Brexiteer, on Radio 4's World at One programme. You can listen online or download the podcast. Dr Sriya Iyer has written a report on the IEA Roundtable on the Economics of Religion that took place on the 10-11th July 2017 at St. Catharine's College, Cambridge. Dr Iyer Interviewed by ECNMY: What is the economics of religion really about? Dr Sriya Iyer talks "What is the economics of religion really about?" 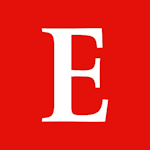 in an article and interview was published in ECNMY. 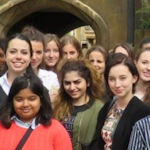 Following the success of the "Women in Economics Day" held at Gonville and Caius College in September, the Cambridge Womenâ€™s Economics Network are launching the women's economics network to help support the aspirations of female economics students and academics at the University.